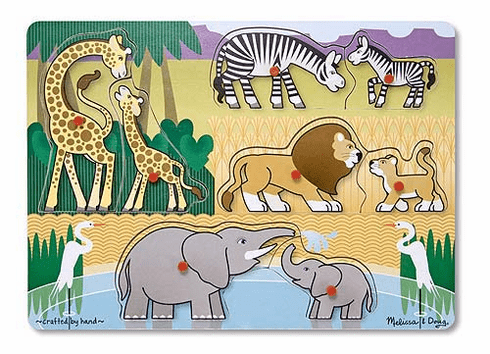 Your child will "go wild" matching the baby animals to their parents in this sturdy wooden puzzle. Easy-grasp pegs and pictures under the pieces will help your child solve this simple 8-piece puzzle. Good for memory, fine motor and hand-eye skills practice.